The High Tide cocktail has a sweeter taste due to the Cachaca Prata, Blue Curaçao and the mix of sugar syrups. It's a perfect cocktail for a relaxed afternoon with friends. The High Tide is simple to make but sophisticated in taste. The sweetness makes it easy to drink and a delight for everyone. Shake with one cup crushed ice and pour into a double rocks glass. Top with more crushed ice. 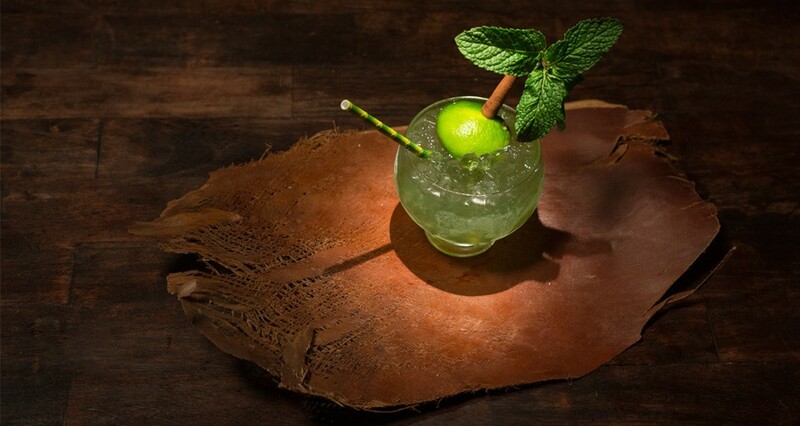 For garnish, attach a cinnamon stick to the peel side of spent lime shell with a toothpick. Add the fresh mint sprig to the other end of the cinnamon stick.